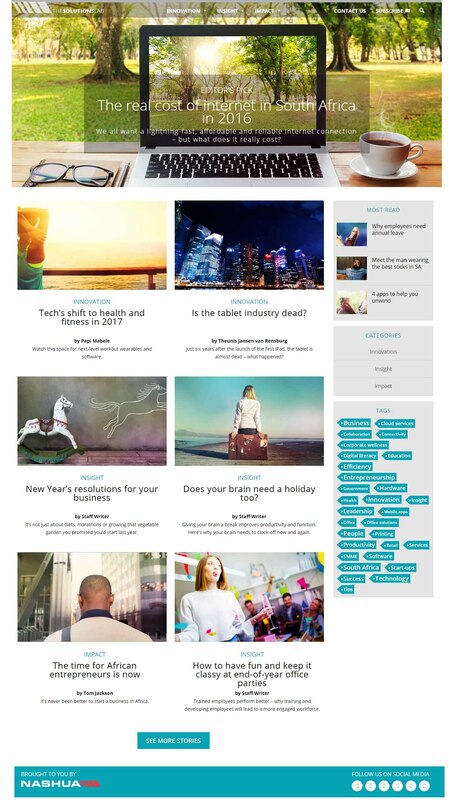 Strategically move Nashua into the content marketing space through the launch of The Solutions Lab – a digital hub where Nashua could present engaging content around the theme of solutions, success and efficiency relevant to a broad audience of business decision makers. 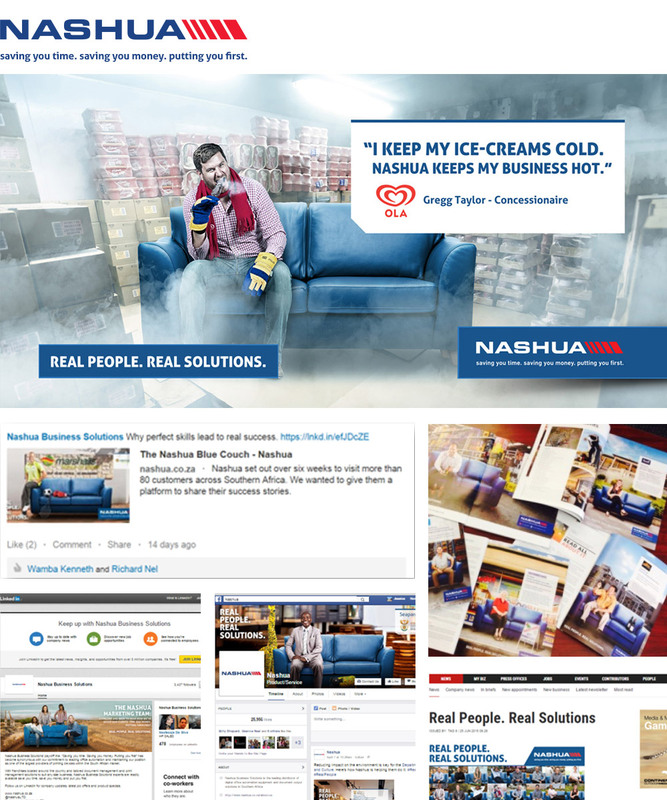 This focus would be an extension of the Nashua brand positioning: Saving you time, saving you money, putting you first. Our objectives were to reignite awareness of the Nashua brand, enhance customer retention and reinforce the connection between the business and its franchises. The key insight involved shifting the brand conversation from product to benefit and executionally making franchise customers the heroes of the campaign in their communities. This added an element of authenticity and accessibility to the marketing, all held together by the campaign line: Real People, Real Solutions. Market share increased from 13% to16%.